The smartphone war just got better towards the end of 2018 when Google finally unveiled its next-generation Pixel versions in the form of Pixel 3 and 3XL, last month. But as is always the case, the priority is always of the higher one, so here too, the focus will remain only on the Pixel 3XL. Google is surely a great software company and that’s the reason it amazed the world back in 2016 when the first Pixel phone was launched with just a single rear camera, which was capable of taking astonishing and excellent pictures of professional quality! And now in 2018, the Pixel camera is considered a standard for comparison (although Apple’s iPhones and Samsung’s Note series are also there, with great camera features and breathtaking pictures). But speaking in a genuine way then a phone should be capable for doing everything, not just photography, right? And here, it will be interesting to see whether or not Google’s Pixel 3XL is worth what it meant to be, for a day’s tasks and a bit more. The flagship phone comes with a huge QHD+ OLED display of 6.3inch, with an aspect ratio of 18.5:9, having a pixel density of 523 PPI. It’s protected by Corning Gorilla Glass 5, has a super contrast ratio of 100,000: 1, and also comes with the Always-on display feature. And yes, the infamous notch is also there, which is really big, but really not a huge deal. The whole frame is made of aluminum plus hybrid coating. The phone has a finishing of soft-touch glass on the back which feels extremely, very premium and expensive too, of course. It is glass but you won’t feel it that way; also both the front and back are Gorilla Glass protected. Further, the phone is now IP68 water and dust resistant too, which means no worries for your rainy days, or when you are underwater, or when you get stuck in a heavily polluted area. On the bottom, there is the USB Type-C port for fast charging, while there are 3 mics located on the bottom and top sides. Interestingly for enhancing the audio, Google has now provided two dual front-firing stereo speakers towards the bottom of the device. The phone may feel heavy to some, as it weighs around 184kg, but that may not turn out to be a significant distraction or something. One thing that Google didn’t actually reveal at the time of Pixel 3XL’s (and also Pixel 3) launch was that despite being a Single nano-SIM device, it’s got the functionality of the e-SIM (which was earlier showcased in Apple’s iPhone XS and XS Max also). So, this implies that those who are habitual of using two numbers won’t be disappointed with the new Pixel since it offers the option of using dual SIMs. For keeping the performance durable, there is a 3,430mAh battery with Qi Wireless charging support and is fast-charge enabled. Now, coming to the big part of the performance itself, then the Pixel 3XL comes with the latest Qualcomm Snapdragon 845 octa-core chipset which is blazing fast and can go through the multitasking smoothly. There is also Pixel Visual Core (something added by Google to enhance the performance to a greater extent), and the Titan M Security Module for protecting your personal data. When it comes to graphics then there is also the latest Adreno 630 GPU inside which when combined with the chipset, can deliver any desired task, especially intensive gaming. Coming onto connectivity options then the device has USB Type-C port, Wi-Fi, NFC, GPS, Bluetooth 5.0 + LE, Google Cast, GLONASS, Galileo, and BeiDou. But there’s a sad news for music lovers as Google has also done away with the beloved 3.5 mm audio jack. So, you will be left a bit dejected, but an alternative has been provided for that in the box. Sensors on the phone include Active Edge, Magnetometer, Barometer, the Fingerprint sensor for unlocking the phone, Proximity/Ambient light sensor, Accelerometer, Gyrometer, Android Sensor Hub and Advanced x-axis haptics for sharper/defined response. The Android platform is of the latest Android Pie 9.0 operating system, and since it’s a Google phone itself, you won’t have to worry about security and upcoming updates at all. Storage options come with 4GB of RAM and 64GB of internal capacity, and another one with 4GB of RAM and 128GB of inbuilt capacity. In the box, you will get the phone, with Quick Switch Adaptor, USB-C to USB-C cable, Pixel USB-C earbuds, USB-C to 3.5mm headphone adaptor, SIM tool, and a Quick Start Guide. Now comes the part for which you have read this article to this point. And without any pinch of doubt, hands down to Google, again. Pixel 3XL camera takes the mobile/smartphone photography to a great level by adding software tweaks, being capable of fantastic image processing. The phone comes with a 12.2MP single-rear dual-pixel camera, with autofocus + dual pixel phase detection. There is also OIS + EIS, spectral and flicker sensor. The camera has an aperture of f/1.8, so more light can come in the picture, which also means great image quality. Talking about the actual performance of the camera then you might have seen the results online of what it can really do. And that’s factually true about the Pixel 3XL camera. HDR and HDR+ processing has also improved while portraits are having more edge-to-edge details now, and they really look fantabulous. The rear camera can shoot videos in 1080p (Full HD) at 30fps, 60fps, and 120fps, while 720p (HD) can be shot at 30fps, 60fps, and 240fps. It can also shoot 4K video at 30fps. Google should have included 60fps option for 4K also since the feature is there in other flagships already. iPhone XS Max is the best to do that. Coming towards the front, then Google has done something impressive by adding dual-cameras. The best thing is the wide-angle feature that allows you to have more people while taking a selfie. Both the cameras are of 8MP each, with one being a telephoto lens. The wide-angle lens’s aperture is f/2.2 while the telephoto lens’s aperture is f/1.8. The dual-front cameras also support portrait shots and which are impressive, no doubt and also support AR stickers, and VR functionality too. The front cameras can shoot videos in 1080p at 30fps, 720p at 30fps, and 480p at 30fps. In many online video comparisons, the Pixel 3XL beat the hell out of many premium phones by delivering exceptional photo quality. And yes, one feature which just got officially added recently is the Night Sight mode, which needs no further introduction since its impressiveness has been seen by everyone, worldwide. When you switch to this mode in very low light and it’s just not possible to find anything, then the Night Sight creates magic by giving you the picture which looks like you captured it in a normal lighting condition! It has made a huge and vast difference to low-light photography. Well, the Night Sight mode has been made available on previous Pixel 2 phones too now and also, many mobile developers have come up with Google Camera’s Night Sight ported app. 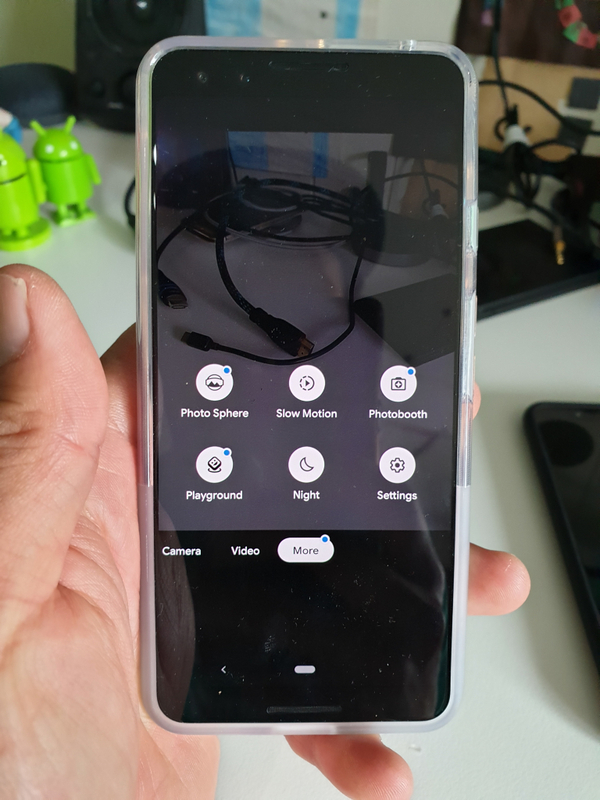 You can literally take the same low-light pictures by any other phone’s camera by installing the ported Google camera’s latest modded app. Because it’s the software that enables the Pixel 3XL’s camera to take mindboggling pictures, so many developers are able to create their own Google camera-based software; although they are ported. Google has definitely increased the level of details as far as the cameras are concerned and the Pixel 3XL also comes with the latest Android OS too with all the features. Though it’s not guaranteed that everyone will be going for it, it’s evident that those who will, won’t be thinking twice because it’s simply too good, while still looking elegantly simple. The slightly good thing, if not very good, is that it costs less than the new iPhones, but still being a flagship device it’s only for those who really want to have a Googe phone experience. If you’re already having Pixel 2XL, then you won’t find it actually necessary to upgrade to Pixel 3XL. 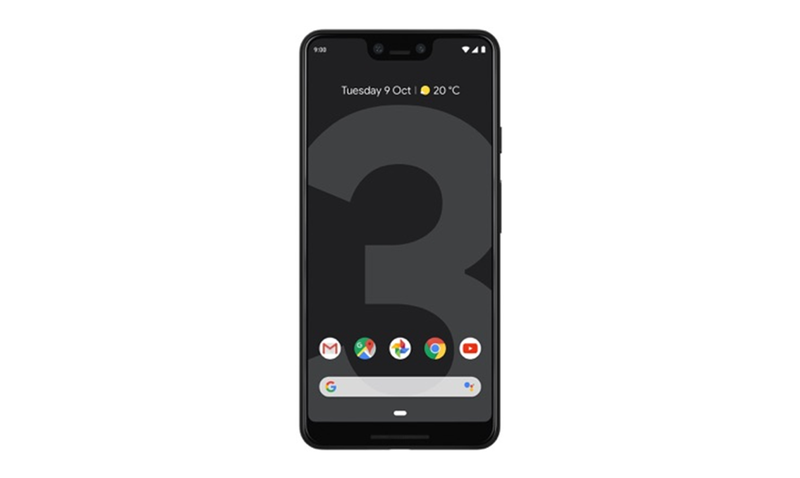 Pixel 3XL is now available in India also and especially on the online portal Flipkart. It will be available in three color variants of Just Black, Clearly White and newly introduced, Not Pink. The 4GB model with 64GB capacity is available right now for Rs.83,000, while the 4GB variant with 128GB of internal storage will be available for Rs.92,000 since it’s not there in the stock yet. Rajinikanth-Akshay Kumar’s 2.0 earns record breaking Rs.120 crore in its advance booking only!